For every Sonic or Altered Beast, there are multiple instances of horrendous box art. This nonsense is why Alex Kidd never became the mascot that Sega desperately needed to fend Mario off. Worst part of the box: Goro's mutated, sun sensitive brother in a diaper at the bottom left or the angel fish that's clearly out of water, yet still blowing bubbles. I can't decide. This cover is a mess. Best part of the box: Alex's demise led to the creation of Sonic. This art existed before the Genesis cover. Worst part of the box: Those parents are both firing in the only two directions where there is no visible danger. Best part of the box: Those symbols on the left and top borders of the box are some hot pink and canary yellow away from being gnarly Trapper Keeper art. 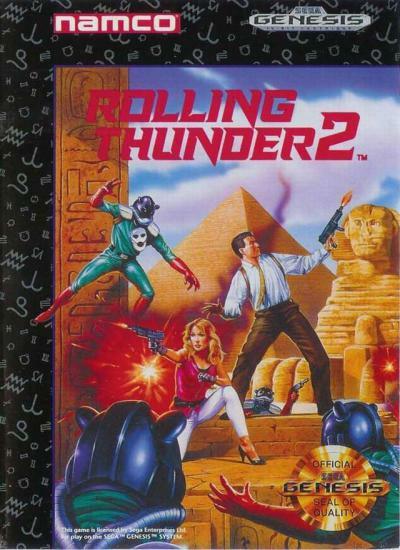 One would think that by not getting the game licensed, you would be able to afford a better artist to make a cover. Worst part of the box: That plane is obviously about to nose in. Hard. Best part of the box: An F-15 flying through what is most likely a radioactive hydroponic lettuce farm is actually pretty cool. 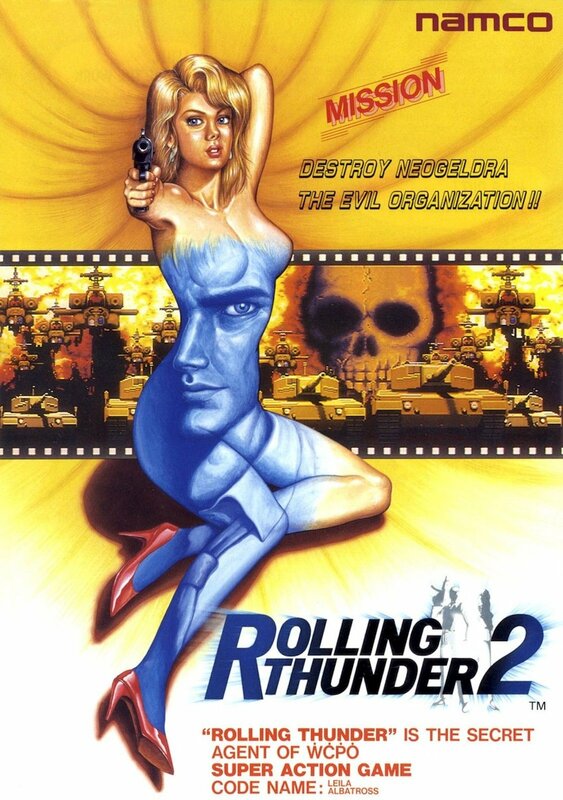 Here at RetroSquat, we are just elated to start down the path that is unfortunate Strider box art. Strider Hiryu, the player character, and the levels are so stylized and eye catching in their design that there was so much potential for frame-worthy box art. What they were thinking with the above cover, we'll never know. The trademarked jump. The unique motion blur of his sword. The spiky hair. None of that was taken advantage of by the artist. Oh, sorry. That star sword is definitely in motion. My mistake... Let's see what the artist did give us: Everybody's 7th grade gym teacher in spandex, mugging for the camera. 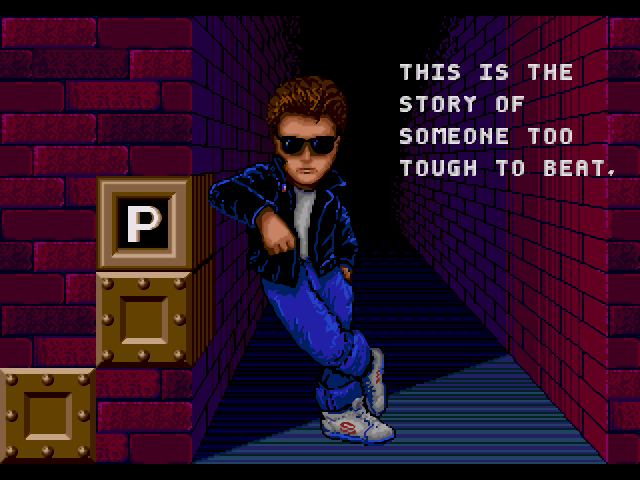 Fortunately, Capcom's Strider already made a name for itself in the arcade and the game stood on its own. Worst part of the box: Missed opportunities. Best part of the box: Hey Strider, is that Vidal Sassoon styling mousse you're sporting? 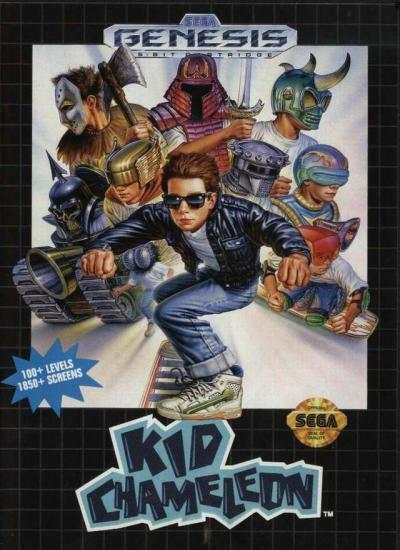 Worst part of the box: Kid Chameleon's sunglasses. Kid Chameleon's jacket. Kid Chameleon's tucked in shirt. Kid Chameleon's cuffed jeans. Kid Chameleon's sneakers. Kid Chameleon's skateboard. All equally worst parts. Best part of the box: Jason, Cyclops, Skeletor and Medieval Boba Fett? Fine, you got me.